Focus Home Interactive is a French publisher based in Paris, France. Known for the quality, diversity and originality of its catalogue, Focus has published and distributed original titles that have become benchmark titles worldwide, available both in store and for download across the world. Focus publishes games on all major platforms, consoles and PC. The publisher's catalogue will get even richer the coming months and years with eagerly awaited games such as Vampyr, Call of Cthulhu, Insurgency: Sandstorm, Greedfall, A Plague Tale, Necromunda: Underhive Wars, Werewolf: The Apocalypse and many more. In fiscal year 2013, EA posted GAAP net revenue of $3.8 billion. Headquartered in Redwood City, California, EA is recognized for a portfolio of critically acclaimed, high-quality blockbuster brands such as The Sims™, Madden NFL, FIFA Soccer, Need for Speed™, Battlefield™ and Mass Effect™. More information about EA is available at www.ea.com/news. SEGA® Europe Ltd. is the European Distribution arm of Tokyo, Japan-based SEGA® Corporation, and a worldwide leader in interactive entertainment both inside and outside the home. The company develops and distributes interactive entertainment software products for a variety of hardware platforms including PC, wireless devices, and those manufactured by Nintendo, Microsoft and Sony Computer Entertainment Europe. Turtle Beach designs and markets premium audio peripherals for personal computer and video game platforms, including its acclaimed line of Ear Force gaming headphones and headsets crafted for Xbox 360® and PS3TM game consoles and PC games. Turtle Beach's Ear Force X41 wireless headset is Official Xbox Magazine's "2009 Peripheral of the Year." Turtle Beach, headquartered in Elmsford, New York, is a brand of Voyetra Turtle Beach, Inc., which has been at the forefront of music and audio technology for more than three decades and is recognized as a pioneer of today's PC audio industry. Turtle Beach and Ear Force are registered trademarks of Voyetra Turtle Beach, Inc.
Ubisoft is a leading developer, publisher and distributor of video games. With 20 distribution offices and 24 studios in 26 countries worldwide, their powerful business network is unique within the industry. 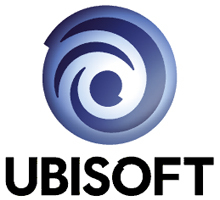 Ubisoft has grown considerably over the past two decades, as a result of a strategy centered on the creation of strong brands, in-house development, and a vast global distribution network. This has allowed them to not only produce innovative, high-quality titles but also acquire an in-depth knowledge of their consumers and their expectations. With the international expansion of the Warner Bros. Interactive Entertainment division in 2007, Warner Bros. made a major play in the videogame space. 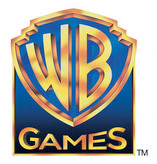 Warner Bros. Interactive Entertainment (WBIE) is an emergent publisher and premier developer of videogame content across all current and future platforms, including console, handheld and the PC. WBIE has formed several major partnerships with prominent videogame companies in recent years, including investments, distribution, sales, marketing and licensing. Leveraging the largest worldwide distribution, marketing, sales and research infrastructure within Warner Bros. Home Entertainment Group, WBIE is a significant worldwide publisher of both internal and third party game titles. Within the WBIE umbrella are WB Games production studio, TT Games and wholly-owned developers including Monolith Productions, NetherRealm Studios and Snowblind Studios. For over 25 years, Thrustmaster has been proud to bring all of its know-how and technological expertise to the video game accessories market. Our core values – Passion, Quality and Innovation – summarize the strengths that enable gamers to dominate their gaming arena, enhance their performance and better explore their virtual worlds. These values constantly serve to drive us forward, helping gamers to always reach beyond their limits. Thrustmaster constantly invests in Research & Development to design innovative products and provide solutions enabling users to enjoy a truly immersive gaming experience. Come and share your passion for gaming with us! From DJ controllers to Wireless speakers, Hercules offers innovative products with particular attention paid to design and software integration, always incorporating the latest technologies. 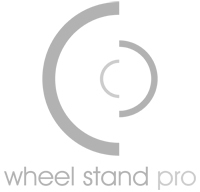 Wheel Stand Pro is a world leader in producing high quality wheelstands. Wheelstand was invented in Poland and it was the first construction of this type in the world. We provide sim racing enthusiasts with first rate products to enhance their driving experience. Wheel Stand Pro is all about quality, durability and stability. Our products are designed for indoor use, therefore their compactness is of major importance. The minimal design blends beautifully with any interior. Originally our stands were designed for Logitech wheels, then adapted for Microsoft, Thrustmaster, Porsche and for MadCatz wheels. We derive from a company involved mainly in the recovery of power hydraulic parts found in construction vehicles like bulldozers, excavators etc. Quite a few of us also enjoy sim racing so, since we have the skills and experience in metal work, we came up with an innovative product which can be made at our factory. Milestone was founded in 1996 in Milan, and since then it has consolidated its position as Italy's foremost videogame developer on consoles and PC. The high quality of its products makes it unique in Italy, and it has established itself internationally as one of the best development teams working in the racing genre, both on and off-road. Numskull products help you represent the games and movies you love – with cool, subtle references, inspired from what you have fondly watched, played and reminisced many times before. Only peers understand your style, because its cooler that way. Numskull work with some of the biggest names in the entertainment industry, including Disney, Marvel, Sony, Bethesda, Capcom, Sega, 2K Games, Bandai Namco, Bungie, EA, Activision, Warner Bros and many more. Each and every one of their products is designed from scratch – and manufactured to a high quality. Founded in 2009, Next Level Racing is a premium brand for racing and flight simulation products. The clear focus of the company lies in innovation and quality to meet the demanding need of simulation enthusiasts and gamers. Next Level Racing continues to lead the market with innovate designs and technology and has various patents in numerous countries around the world. The products they supply for home use are also used for professional training by the Australian Defence Force, Australian & British Air Force Cadets, Bristol University department of Aerospace Engineering, RMIT University, Hong Kong University, Wolverhampton University, QUT University & More. The Next Level Racing products are also used by professional race car drivers and pilots including Red Bull Racing's Mad Mike Whiddett, European Rally driver Ricardo Costa Jnr & more, European pilot of the year James Moon & more.